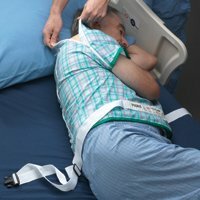 IV Access Jacket w/Quick-Release Buckle, Poly/Cotton, Plaid, Large. Today, the Posey Company manufactures over 600 products around the globe. Every Posey product engineered and manufactured by our dedicated team continues on our tradition of quality products and patient care. View More In Seat Belts. If you have any questions about this product by Posey, contact us by completing and submitting the form below. If you are looking for a specif part number, please include it with your message.